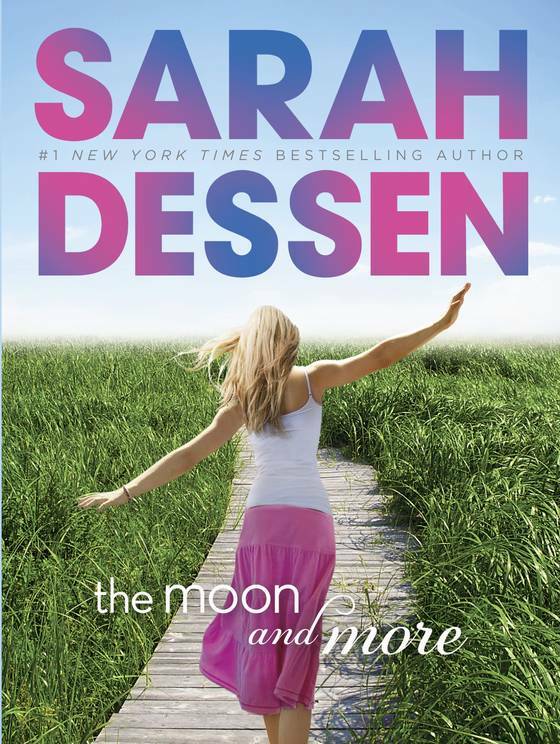 The Compulsive Reader: Cover Talk: Cover Reveal for Sarah Dessen's New Book, The Moon and More! Cover Talk: Cover Reveal for Sarah Dessen's New Book, The Moon and More! 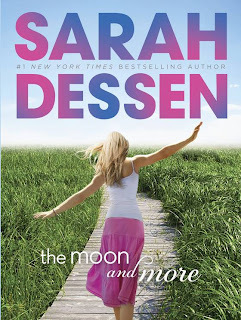 Sarah Dessen's next new book will be The Moon and More, and it's set to come out in June of 2013. Today on USA Today, the cover was revealed! Isn't it pretty? I love the boardwalk and the vibrant colors in the cover--it's so fun and eye-catching. This one sort of reminds me of the last book in Jenny Han's Summer trilogy, We'll Always Have Summer. I like the new design scheme of Sarah Dessen's covers a lot. What do you all think? And if you click over to the USA Today reveal, you can also read the first chapter of the book! On one hand I really like it, on the other I do think it looks a little generic. But I hope the book is good, I liked the excerpt in USA Today. I think it's interesting how they changed the font on this one from the others. I also liked the excerpt and am hoping this one is similar to the Truth about Forever, which I loved :). Sadly I'm just not a fan. There was absolutely nothing done to the cover except putting font over the stock image, which isn't even a striking or beautiful image to begin with. I like the pop of pink, but overall I'm a bit underwhelmed by this. I can't wait for this book-don't even care what it looks like because I know the inside will be fantastic! I really like it and can't wait for the book. I didn't realize it was coming out so soon! While the cover is nice...I don't like it paired with that title. I really dislike it when a title and a cover don't match. Where's the moon? I'd totally be expecting a moon on the cover. Don't you agree?